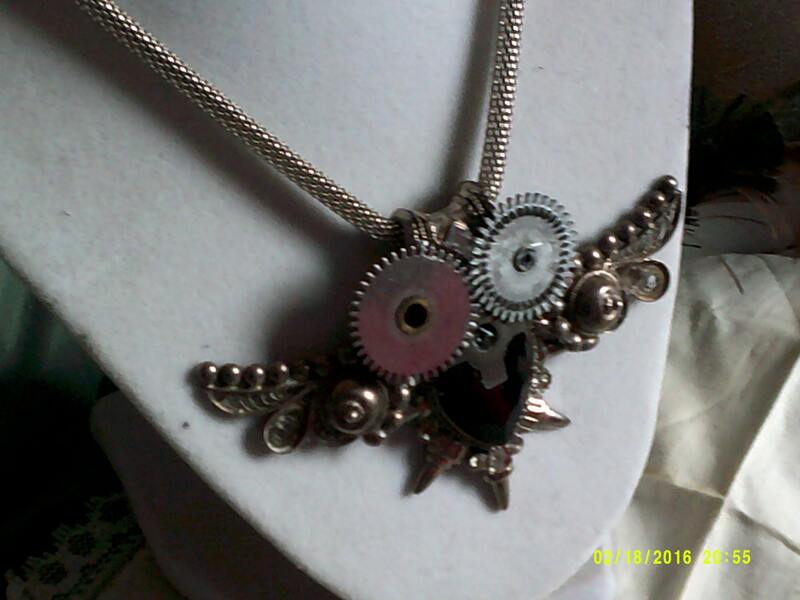 Steampunk Owl necklace, metal alloy and gears, handmade, one-of-a-kind. Original clock gears form the owl with a black onyx-like body. 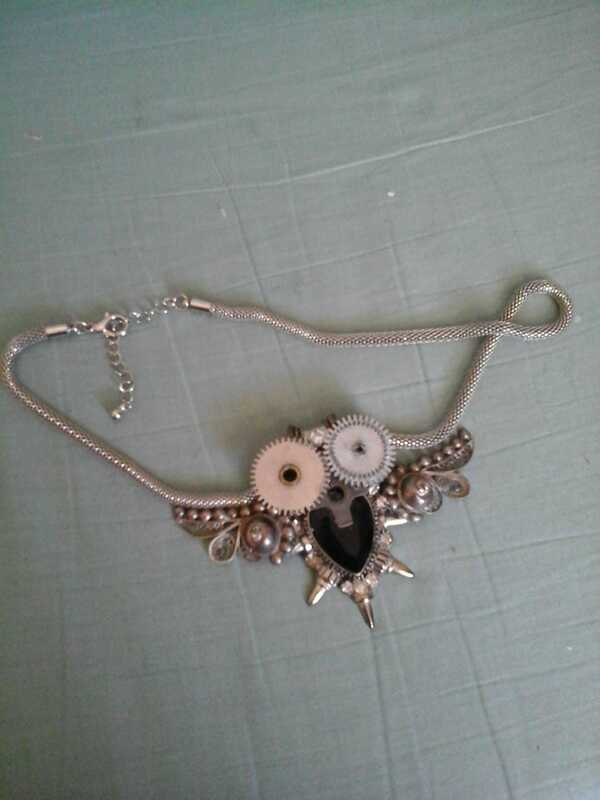 One of a kind, on silver chain. 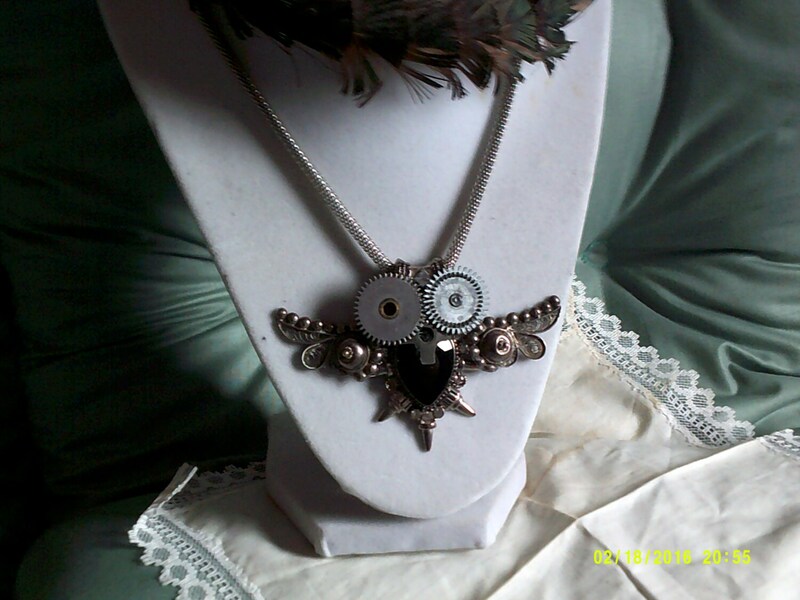 Handmade, repurposed.....new steampunk owl edition. 16" chain A unique gift for the Steampunk lover on your list.